This week we have been working hard on the new brand for ‘bridge2business’ and Young Enterprise Scotland. Like most brands- we always start with the words. Brands should make people feel and think in a certain way, the big idea at the heart of a brand is what draws people in and gives it life. A crucial part of any brand are the stories that accompany it. I had a meeting last week with the CEO of a worldwide company who has over 50,000 employees. This company had just re-branded and I was told that the preferred brand identity, chosen from a set of 12, was the one that would give the best opportunity for telling stories. As the CEO of a global company, he wanted above all else, a logo and graphical system that had a story behind it to make it memorable for staff and customers to understand what the company is really about. Regarding connections, we discussed with the client that most of the time we overlook the treasures we have on our own doorsteps to grow our businesses. For a young entrepreneur in college – there are vast riches all within the building itself- graphic and digital design students who can create your first brand and website, IT students who can help you set up your computer and systems, drama students who can show you how to present and perform with aplomb. Every part of what’s necessary to run a business is actually on your doorstep and can be accessed with a little initiative. During the week, I asked Alejandro and Ruth to start looking at stories that would support the key words, themes and bring the ‘bridge2business’ brand to life. As usual they out did themselves, picking three exceptional and timeless stories from the last two centuries that supported our themes. 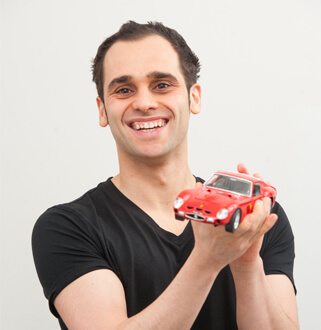 I wanted to briefly talk about one that I really enjoyed regarding the importance of using untapped connections to grow a business. One of the greatest achievements of mankind in the last 150 years is the motorcar. Many people know that Karl Benz was responsible for the first motor car but what many people (including myself) didn’t know was that it only came to be, because of the indomitable spirit of his wife – Bertha Benz. Karl Benz had created the first properly functioning motor car, it was a triumph in engineering as well as a shining example of human expression at its fullest. Despite his success, he was having a terrible time trying to commercialise it and demonstrating how it could be useful to others. It wasn’t until the height of their frustration that on the 5th of August 1888, without telling her husband or the relevant authorities, his wife Bertha drove her two sons Richard and Eugen from Manheim to Pforzheim to visit her mum. She was the first person to drive an automobile over a long distance (66miles.) This was the very first proper ‘road-trip’ and she used it to show her husband and others how useful this machine could be to daily life. It was a wonderful piece of marketing, she received much publicity for her trip and she diligently noted every problem she incurred on the journey to make the automobile even more user-friendly. These innovations included additional gears for climbing hills and brake linings to improve brake-power. During her journey, she had to stop at a pharmacy to buy ligroin for fuel, the brakes had to be repaired so she visited a blacksmith. These small enterprises became our first ever fuel stations and car garages. It was the initiative of Bertha Benz that helped turn the motorcar into a commercially acceptable business. Thanks to this initiative, we have roads, petrol stations, mechanics, factories, supply chains, hundreds of millions of people being employed thanks to one invention – the motorcar. How many years longer would we have had to wait without this interruption into her husbands affairs? 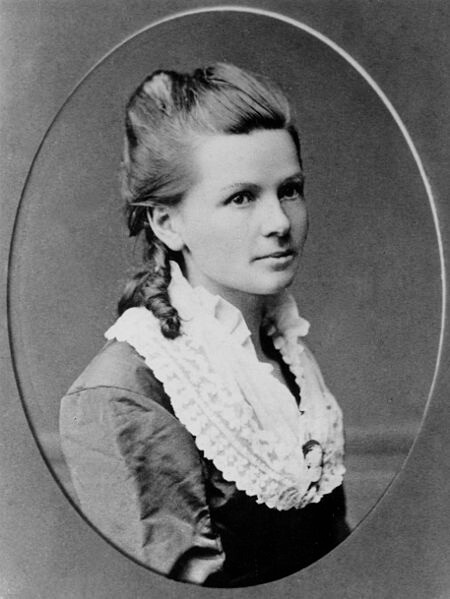 How much further behind would we be today if it hadn’t been for Bertha Benz? The bit I like most about the story is that they may have been business partners but Karl had overlooked Bertha, until that point for advice and assistance. This was his wife and life partner, some may say the strongest connection you can have as an entrepreneur. How different his life would have been if she hadn’t did what she did. How different a world we would be living in if she hadn’t do what she did. So for the 16-24 year olds engaging in ‘bridge2business’ there is a telling lesson about the brand. It’s about the importance of using your connections, particularly the ones at the college, the ones you don’t even realise you have. Your journey will be much richer, more fun and more proseperous than you can ever imagine. And for us, we now have to build that and some of the other wonderful stories we have, into a great identity for ‘bridge2business.’ Watch this space!